The Oceanside Independence Day Parade continues to grow in popularity. Here is a two-and-a-half minute movie showing most of the parade. For the past several years, Oceanside has had a non-organized Independence Day parade. This year’s parade was bigger than ever. A number of photos can be seen on Oceanside Community Club member Deb Macartney’s Flickr page. 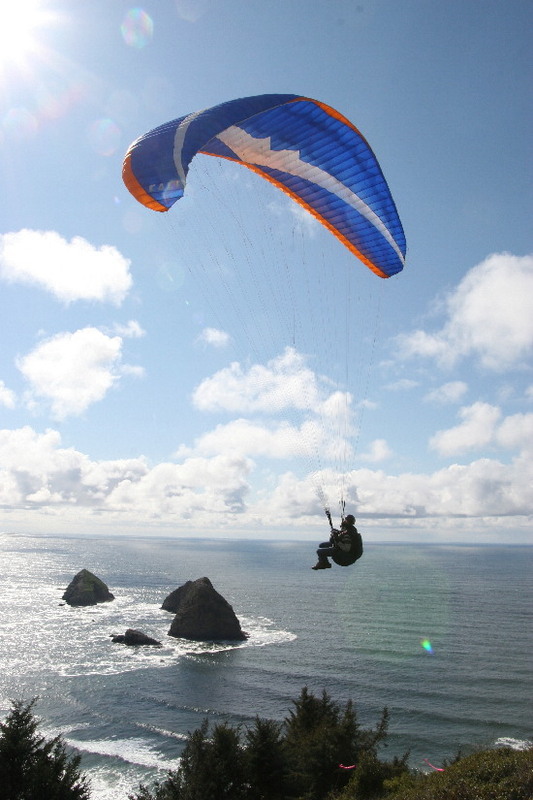 Hang gliders and para-gliders decorated the skies of Oceanside last weekend (April 19 & 20) when the Oceanside Open Fly-In came to town. 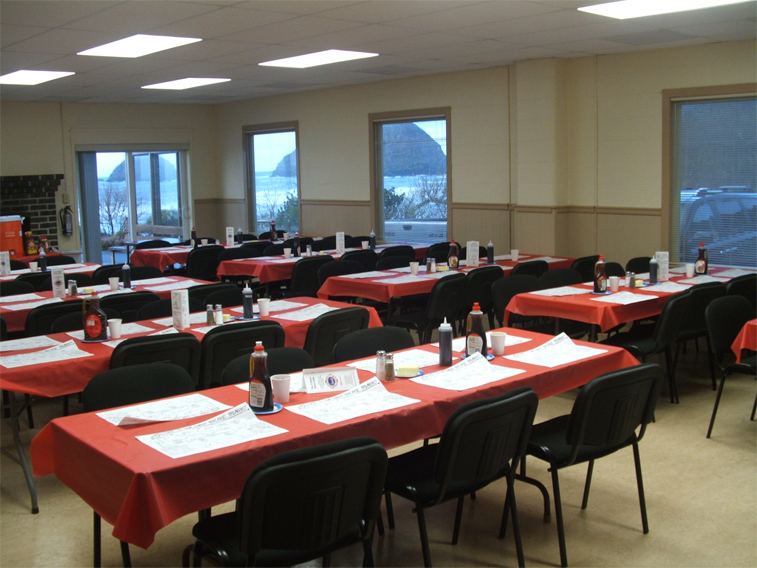 Approximately 150 people were expected for the Saturday night dinner at the Community Club Rental Hall. 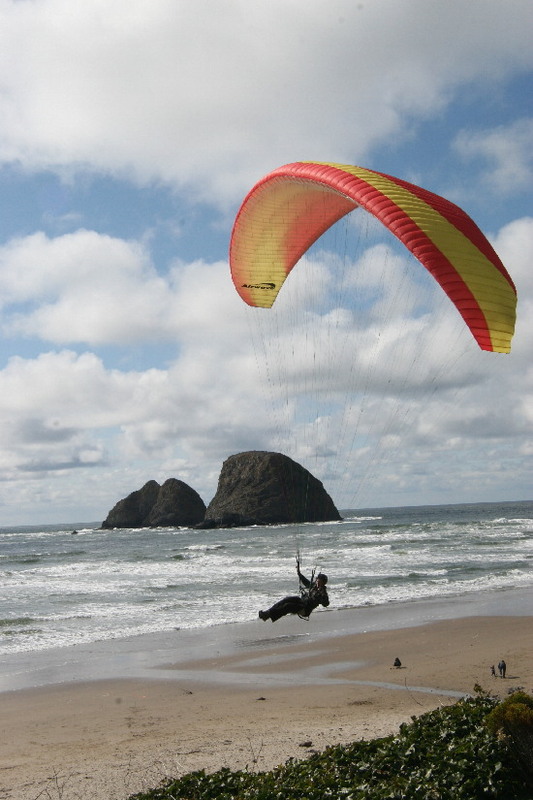 The event was a fund-raiser for Tillamook Habitat for Humanity. One of the flyers has posted a slide show on Flickr with some great photos from the air and the ground. 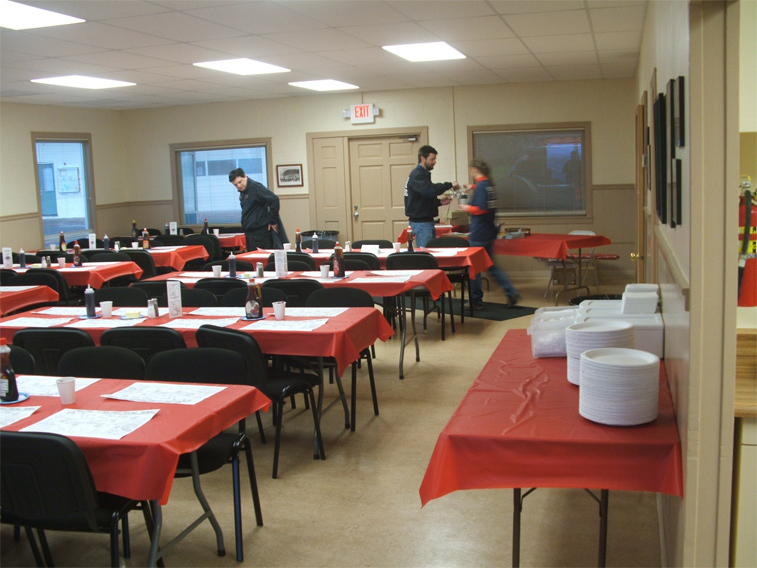 Netarts resident and fire department volunteer David Howes took some pictures at the breakfast, and it’s a good opportunity to see the new chairs that the Community Club purchased in January. 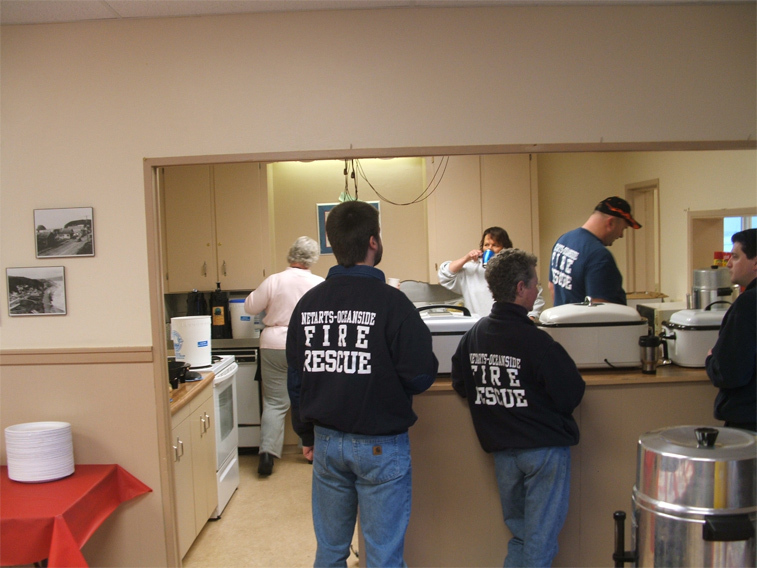 Here’s another picture of the firefighters setting things up, this time of the kitchen. The Oceanside Community Club’s web site for information and rental of the hall is now hosted for free by WordPress.com. As a non-profit organization, the Club really appreciates free hosting.